okay, okay, one last blast with the upcycling and then i will be quiet. 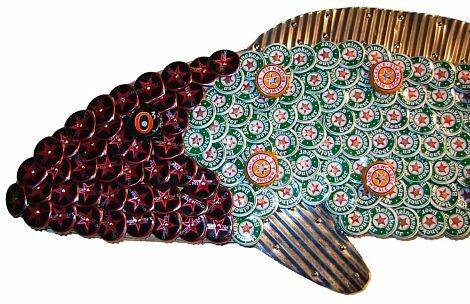 look at the beautiul details of these folksy mosaic fish from michigan artist john unger. they’re carefully and obsessively made of bottle caps, with select metal accents. 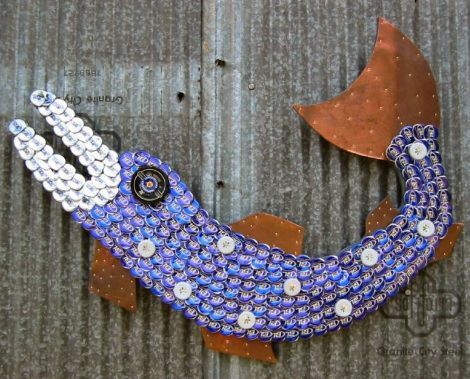 purchase the fish and see more sustainable design work at john’s etsy shop. be sure to check his blog out too for much, much more!